An introductory novella book, introducing you to John Milton. The opening of the book had me confused as to how the story was going to develop. What and who is John Milton? The book delves into a bit of his background, Group 15 and a snippet of who they are, the way Milton deals with day to day situations, from the personal traumas of dealing with blackouts (his), each one more severe, to the constant name changing and new identification documents that each one brings. This is a good introduction to Milton and with each book I have had the pleasure of reading, (I’ve read a fair few now), the character has gone from strength to strength and the author has developed and is now ranked as one of my Top 10 authors. I chose to go back to the beginning of John Milton as this book has been in my TBR (To Be Read) pile since 20 September 2013 and despite reading other books of Mark’s and knowing the character, I thoroughly enjoyed going back to the beginning and understanding a bit more of John Milton and what makes him tick, and the methods that he uses in dealing with situations. 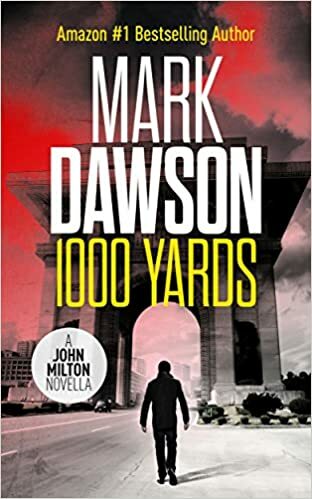 Mark Dawson’s books can all be read as standalone reads and I look forward to reading more John Milton books as well as Mark’s other books shortly.